Indian Oil Corporation Limited - IOCL, Marketing Division, Eastern Region invited from candidates meeting the following qualification & other parameters for engagement as Apprentices under Apprentices Act, 1961 (as amended from time to time) in the Trade/Discipline. 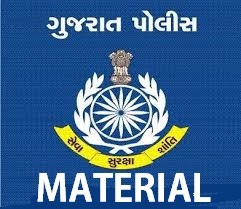 View more details about recruitment for e.g, educational qualification, selection process, age limit, salary details, how to apply, no of posts, name of posts, important dates, important links all are as under. Obtaining minimum qualifying marks in the written test does not confer any right or claim by the candidate for being shortlisted for Personal Interview or the final selection, as the same is related to number of positions, relative performance in respective categories. Final selection will be based on aggregate of Written Test and Personal Interview marks. Candidates, in the order of merit will be offered the apprenticeship. The candidates will have to qualify successfully through each stage of the selection process i.e. Written Test and Personal Interview (Minimum 40%, relaxable by 5% for candidates from SC/ST/PWD Categories against reserved positions) and Pre-engagement medical fitness for being adjudged suitable for engagement. Candidates are advised to ensure that they are medically fit as per IndianOil’s pre-employment medical standard. Candidates are advised to go through the “Guidelines and Criteria for Physical Fitness for Preemployment medical Examination” before they commence the application process. The candidates meeting the prescribed eligibility criteria may apply online.